End-times author and evangelist Tim LaHaye died in a San Diego hospital Monday at the age of 90 from complications of a stroke. The Detroit native co-authored the bestselling “Left Behind” series of books and donated millions of dollars to numerous religious institutions, including San Diego Christian College in Santee and Liberty University in Virginia, according to the Tim LaHaye Ministries website. LaHaye said remarks by a minister after his father died of a heart attack, when LaHaye was 9 years old, and the hope they provided, helped shape his future career. Texas Sen. Ted Cruz was among many sharing condolences. 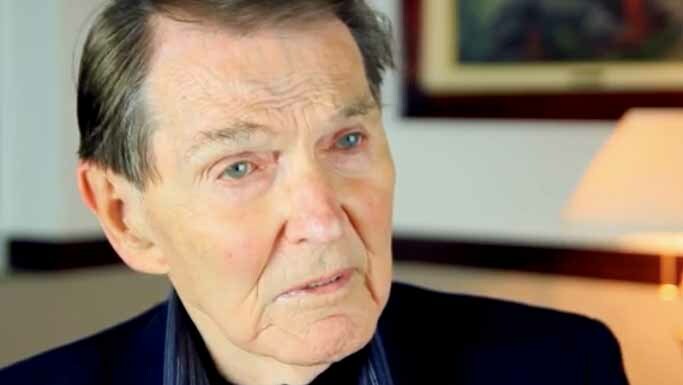 Remembering Dr. Tim LaHaye – a dedicated servant of the Lord & visionary leader. Heidi and I are praying for Beverly & their family today. LaHaye served in the Air Force and became a pastor at churches in South Carolina and Minnesota before arriving in San Diego. He took the reigns of Scott Memorial Baptist Church, which eventually expanded to three locations, including what is now Shadow Mountain Community Church in El Cajon. He founded a pair of Christian high schools and San Diego Christian College, which was located in El Cajon until a recent move. The 16-book “Left Behind” book series, co-authored with Jerry B. Jenkins, has sold more than 80 million copies since its 1995 debut, according to LaHaye’s website. Funeral services were pending for LaHaye, who is survived by his wife, Beverly, four children, nine grandchildren, 16 great grandchildren, a brother and a sister. Just learned of Tim LaHaye's going to be w/the Lord. A great man of God w/convictions of steel. Praying for Beverly and the family. Will never forget the afternoon I spent with Tim LaHaye. What a great man! Enjoy paradise, Pastor!